Victory Works: LB&SCR A1/A1X Terriers: A1X, so what changed? LB&SCR A1/A1X Terriers: A1X, so what changed? 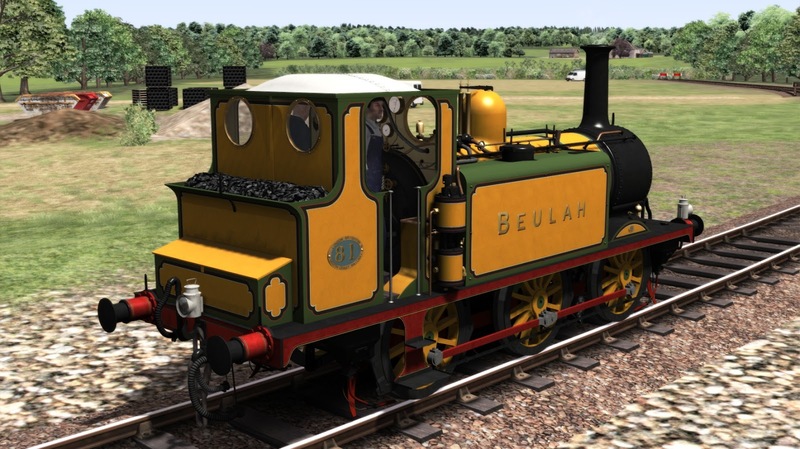 Today we're taking a look at the Terrier in it's rebuilt A1X version. 21 of the original 50 Stroudley A1's were rebuilt this way and as 14 of the 15 Terriers that made it into BR ownership were of this A1X type they are likely more familiar to people now. There are quite a few variations on the A1X (almost as many as there are engines!) and we'll be showing the options for those soon but for today we present the A1X in it's "purest" form. As with the A1 shown last week you can use any name and any number with the engines and they come with all 21 of the original names and numbers set up and ready to go. 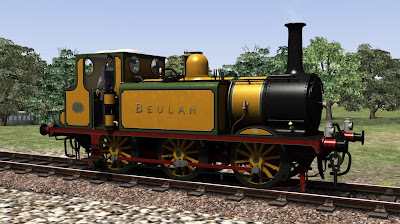 The most obvious change is the new extended Marsh boiler and new smokebox, and therefore the reshaping of the wheel splashers, and the removal of the condensing pipes either side. 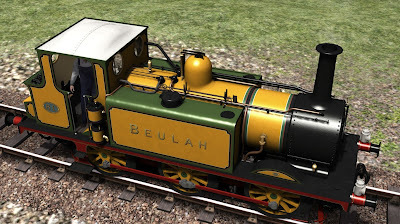 The A1X was changed from the condenser and pump system to the more familiar injector system and this can be seen by the wisps of steam coming from the injector pipes between the front and middle wheels, and obviously with a different set of controls in the cab. Also changed are the sanders having lost the sand boxes above the running plate which were part of the original wheel splashers and are replaced with steam powered sanders (some of the Isle of Wight rebuilds kept a combination of the new and old splashers, retaining the old sanders, and this is one of the options we'll show later). The old copper capped chimney has been replaced with the much plainer Marsh cast version and both buffers now carry vacuum brake pipes as well as the original air pipes. The top view shows the significant changes that were required for the replacement of the water pumps with injectors and the addition of the vacuum brake. On the left hand side of the locomotive the exhaust (black pipe) from the vacuum brake can be clearly seen running all the way to the smokebox and the intake (grey, insulated wrapped pipe) from the top of the boiler. Also visible are the 2 copper pipes that drop down the front of the water tanks which take the water from the boiler to the injectors and the other long copper pipe which is the re-routed exhaust from the Westinghouse air pump. Some brackets and firebox tools are also squeezed in to make the whole scene very "busy" compared to the cleaner appearance of the A1. Next week we'll take a look inside the A1X cab and see what all of these changes and additions have done to the driving position. Nice work! But, if both engines (A1 & A1X) are unfitted/vacumbraked, why is there an airpump? The A1 is air braked - engine and train. The A1X has air and vacuum brakes, although the vacuum brake is only for the train. 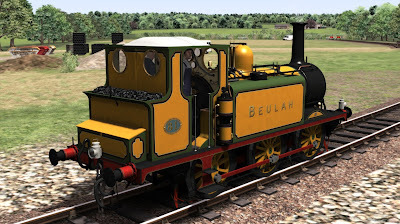 In Train Sim terms it uses a vacuum brake for the train on both simply because all the UK stock so far (even those that were air braked) has been created with vacuum brakes and we want you to be able to use it all with the engines. The A1X does have separate brakes in Advanced mode with the train brake only braking the train and not the engine, and the engine brake not braking the train. 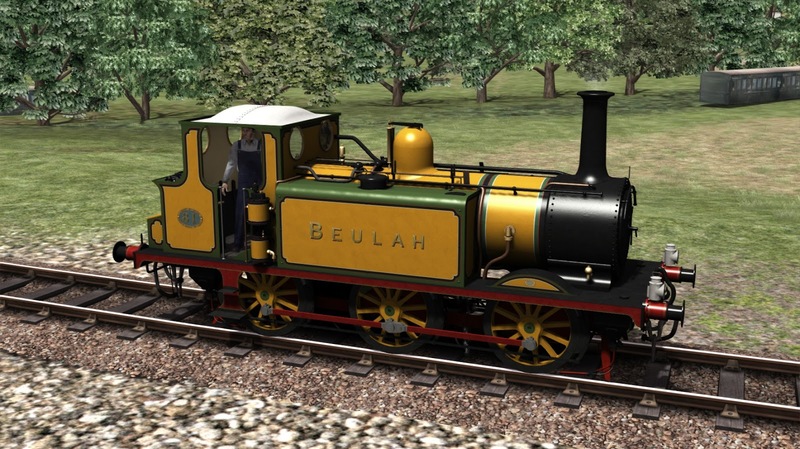 LB&SCR A1/A1X Terriers: What's in a name?